Jim Parsons is an American actor who has become popular thanks to series, particularly, the TV comedy about the life of the geek scientists The Big Bang Theory where Jim played an authentic genius Sheldon, the main source of the sitcom jokes. 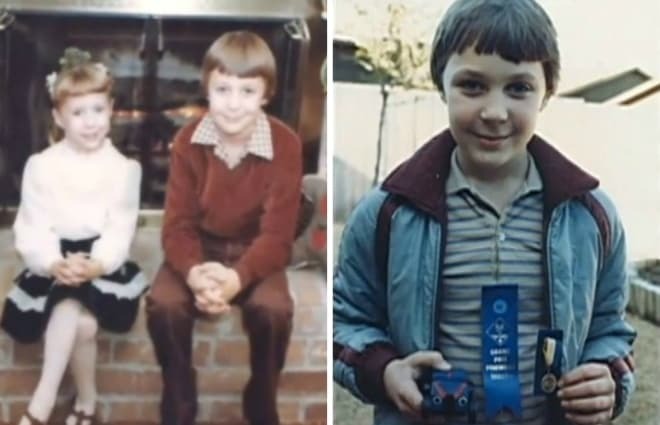 Jim Parsons was born in a large city Houston, Texas. His father, Milton Joseph Parsons, owned a repair shop, and the mother, Judy Ann McKnight, worked as a primary school teacher. Jim has a sister, Julie Ann, who followed in her mother’s footsteps and also became a teacher. The shy boy transformed when he appeared on the school stage. At the age of six, Jim played the Kola-Kola bird in a children’s play The Elephant's Child based on Rudyard Kipling’s fairy tale; from that time, Parsons was sure he would become an actor. 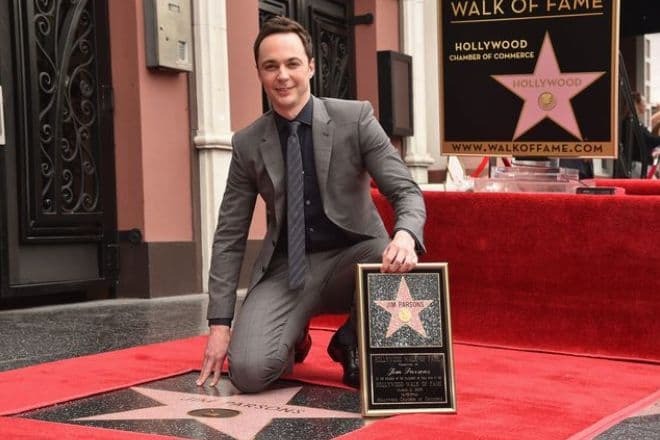 As soon as Jim Parsons graduated, he entered the University of Houston, School of Drama. He felt that obligatory subjects and standard plays were not enough for him. Thus, Jim and several other students organized a student troupe Infernal Bridegroom Productions that created 17 performances. In 1999, Parsons became a Bachelor of Arts and moved to California to continue his education at the University of San Diego. He entered a new two-year program created by the university and the Old Globe Theater. The program was intended for seven best graduates of the United States, and Jim managed to become one of them. In 2001, Parsons moved to New York and performed at Broadway; he was also actively engaged in commercials. The actor appeared in the ads of Quiznos, FedEx Express, and Arby’s. Besides, Jim participated in a social ad about fighting cancer. Jim Parson was getting new roles gradually, and his filmography was not marked with bright projects for a long time. Parsons debuted in the TV series Ed where he played a shy young man Chet in an episode. Later on, Jim appeared in the French comedy Happy End, the tragicomedy Garden State, the non-fiction Heights, the melodrama The Great New Wonderful, the short movie The King’s Inn, and the melodramatic comedy School for Scoundrels. Besides, the actor participated in the TV series Judging Amy and Eureka. All those roles were small and episodic. The first lead role in the comedy The Big Bang Theory, the story of the geek scientists, brought the actor the global fame and great popularity. The series started in 2007 and continues today. Considering the popularity of the geek culture, many people become the fans of the series; the Internet is full of the series memes, quotes, and funny videos. Overall, eleven seasons have been broadcast by now. The main characters of the first two seasons are two neighboring scientists and a beginning actress living nearby. 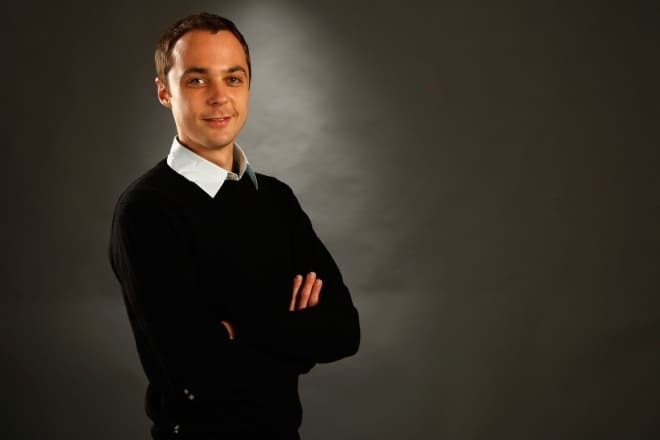 Jim Parsons plays one of the main characters, the genius physicist doctor Sheldon Lee Cooper. 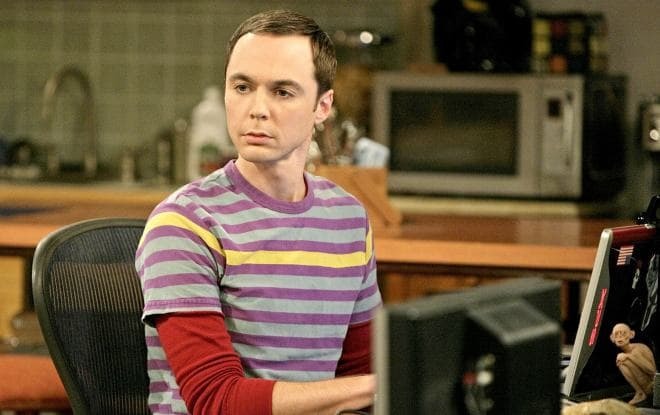 Sheldon is really smart, but opinionated, fails to understand sarcasm, has no germ of empathy, and never compromises. Cooper’s neighbor, a physicist Leonard Leakey Hofstadter (Johnny Galecki) is a shy and more pleasant “nerd.” He has fallen in love with Penny, the neighbor actress (Kaley Cuoco). However, his courtship attempts look comically lame because of their different social circles, Sheldon’s intrusion, and Leonard’s complexes of a school loser. Leonard’s friends, the scientists Howard Joel Wolowitz (Simon Helberg) and Rajesh Ramayan Koothrappali (Kunal Nayyar), are among the series main characters. The actors were chosen by their height: tall and thin Parsons (his height is 186 cm.) looks comically near other shorter characters. The first seasons were based on the geek friends’ attempts to find girlfriends, go to Comic-Cons, buy rare comics, or gain scientific grants. From the fifth season, the series started changing: the main characters found their lovers. Leonard made it with Penny, and even unsociable Sheldon met the woman of his dream, Amy Farrah Fowler (Mayim Bialik). The situation becomes even more exciting when the womanizer and loser Howard gets married. The series drew more attention to relationships, and the problems were based on family life issues and compromising. Fans’ attitude was ambiguous: some complained that the geek jokes were gone, others were glad that the series developed and did not begin to repeat itself. Jim Parson’s comedian talent was realized to its fullest; movie critics and ordinary people marked that. In 2011, the actor won the Golden Globe Award for the role of the weird scientist. 2010 and 2011 were marked by the Emmy and Television Critics Association Awards as Best Actor in a Comedy Series. In addition, Jim has been nominated for the Satellite Award several times. Jim Parsons continued to play secondary roles on the big screen. He took part in the comedy The Big Year, the tragicomedy Wish I Was Here, and the drama The Normal Heart. He also played the biggest Muppet fan, Human Walter, in the movie The Muppets. Besides, Jim Parsons often voices animated movie characters: he participated in Family Guy, The Super Hero Squad, Glenn Martin, Pound Puppies, Kick Buttowski: Suburban Daredevil, and Home. In 2015, Parsons finally got the lead role in a full-length movie, the horror Visions. 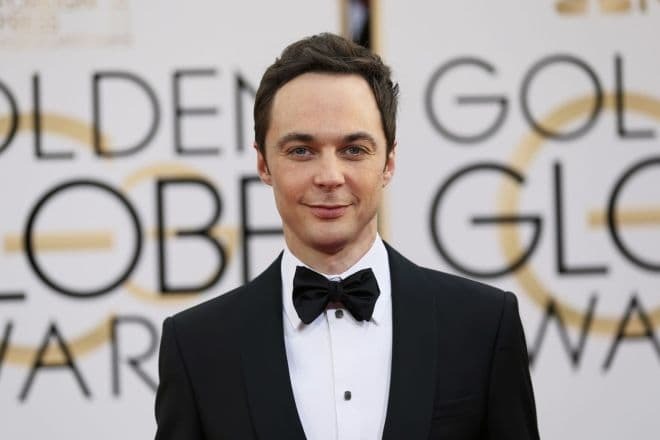 Jim Parsons is openly gay; he came out in 2012 when he received the Emmy Award. Today, Jim and his husband Todd Spiewak live in Los Angeles. Spiewak is an art director in a studio in California. The lovers have been together for ten years and kept secret their relationship. The young people succeeded: the paparazzi had no photos of that period where Parsons was kissing his boyfriend. Today, the lovers do not hesitate to post their photos together. More than 6.5 million people follow Parson’s Instagram page. The actor is fond of playing the piano and watching TV sports programs, particularly, tennis. Jim also tries not to miss baseball matches. The actor continues to star in the sitcom The Big Bang Theory that made him famous. The eleventh season was released on September 25, 2017; the first episode of the last season came out in September 2018. In 2018, Jim Parsons played Paul Stafford in the drama Hidden Figures. The movie tells the story of three women who made a significant contribution to the work of NASA and sending the first American astronaut to space, but their work was not publicly recognized. In November 2016, Parsons topped the ten highest-paid actors on TV according to Forbes. Jim’s colleagues starring in TBBT took the second, the third, and the fourth positions. In January 2017, Jim Parsons told the Empire journalists about the plans of The Big Bang Theory creators to release the series spin-off. As the actor said, scriptwriters created the well-thought characters, and it would be a mistake not to show them to the fullest. Besides, there was enough material for a new series. The spin-off Young Sheldon is about Sheldon Cooper’s childhood. The actors of the original series did not take part in it; Parsons recommended the young actor who played Sheldon not to copy the existing image and perform in his own style. In March 2017, the TV channel announced that the original The Big Bang Theory was extended for two seasons and would be released until 2019. 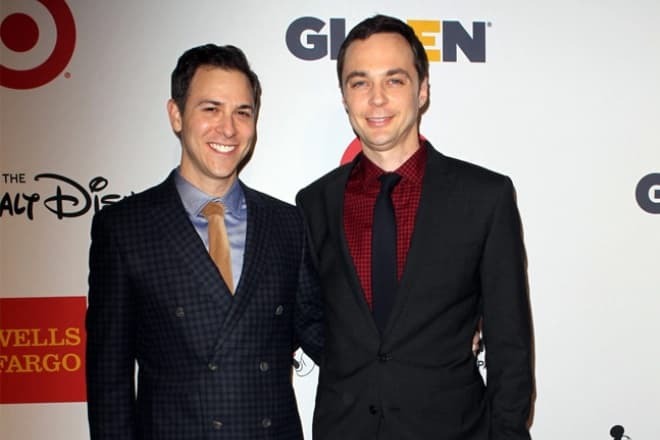 On May 13, 2017, Jim Parsons and his boyfriend married in New York.